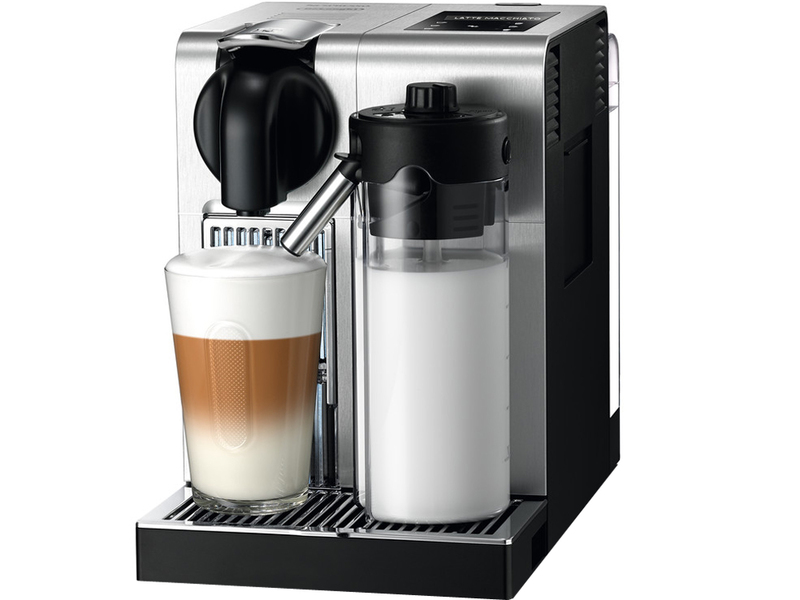 The Delonghi Lattissima Pro Nespresso Machine was built to take advantage of the 22 single serve Grand Crus that Nespresso coffee club offer. This Lattissima Pro machine is 19 bar pressure which is the same pressure professional coffee shops and bars use. This Nespresso machine is finished with a brushed Aluminum finish. 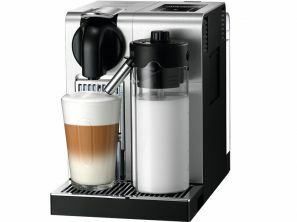 It contains a removable 0.5 litre milk carafe that froths milk as needed. The machine has a 6 drink function that can be personalised, it also has an energy saving feature. The machine is fitted with digital display and a touch screen panel. The water reservoir is removable and has a capacity of 1.3 litres. The energy rating is 1.3kW and can heat up in 40 seconds. The machine also comes with an automatic descaling program. It comes with a starter selection of coffee to get started but you will need to buy coffee from Nespresso either online or telephone or you can visit the Nespresso Boutique in Dublin or Cork.